Both our physicians are rooted in academic medicine. The ongoing “research” at the Dattoli Cancer Center provides data and experiential evidence from which many abstracts, papers, presentations and publications have sprung. In our minds, it is imperative to be able to prove that our methods and protocols deliver results that benefit our patients year in and year out. It is not enough to merely suggest that our patients do well – we are committed to demonstrating our results in a variety of ways. The Dattoli staff has authored or contributed chapter material to several textbooks. Another eight booklets have been published by our non-profit affiliate, the Dattoli Cancer Foundation. More than two dozen articles have appeared in the most prestigious medical journals – including Cancer, Urology, Oncology, International Journal of Brachytherapy, Journal of Radiology Nursing, among others. 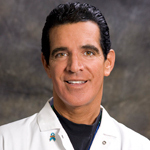 Dr. Dattoli is an often sought after international speaker on the subject of prostate cancer diagnosis, technology, advanced imaging and treatment. He has participated as faculty at many of the world’s premiere annual update seminars over the past 25 years and has made countless oral presentations over that time frame. A complete list of his publications is contained in his curriculum vitae, as well as his investigative appointments, committee memberships and review board positions. At any one time, there are several articles for peer-reviewed medical journals in progress at this center. This dedication enables us to make fact-based statements as to the efficacy of our ever evolving treatment protocols. Dr. Michael Dattoli presented the 16-year results at the Genitourinary Cancers Symposium in February of 2009. This study was subsequently published in the Journal of Oncology in July 2010. View our study entitled, “Long-term Outcomes for Patients with Prostate Cancer having Intermediate and High-risk Disease, treated with Combination External Beam Irradiation and Brachytherapy” recently published in the Journal of Oncology. For other relevant prostate publications please see the “Most Relevant Prostate Publications” in Dr. Dattoli’s CV.